This article is a full review of the Penn Battle 2 spinning reel. I’ll outline the best features of this reel along with some of the drawbacks. We’ll breakdown the 8 models (sizes) available, how to pick the right size and which model is the most popular and why. Straight to the Point: The Penn Battle 2 reel is rated for both fresh and saltwater and is a solid workhorse! The balance between price and quality is fantastic and it functions like a higher end reel. 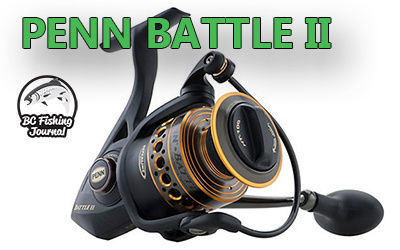 I can’t think of a spinning reel that offers a better bang for your buck than the Penn Battle 2. The Penn Battle II Spinning Reel is a quality reel, one that is affordable and likely to last you for years as long as you take care of it. Penn did a fantastic job in pricing this reel so that the average angler can afford it. The reel itself feels solid in your hand, it feels like a quality reel not a cheap piece of plastic. When fishing it, after hours of casting the rubber knob still feels comfortable and the retrieve is very smooth and one of the smoothest on the market with comparable reels. Line capacity rings are visual lines on the spool which indicate how much line is on the spool. These lines are very helpful and important in ensuring you are putting the correct amount of line on your reel. You don’t want to have to little or too much line otherwise your casting may be negatively impacted. Additionally these rings are an excellent visual indicator to see how much line is out when your trolling, drifting, long casting or when a fishing is running. This visual acts as a gauge so you’re not as likely to get spooled! Sealed ball bearings is a very important feature for Saltwater usage. The bearings impact your drag and retrieve, if these are corroded or dirty the performance of your reel will quickly drop. These sealed bearings help to prevent saltwater intrusion. One of the biggest reasons anglers take their reels into shops for maintenance or repair is due to saltwater impacting the ball bearings. Keyed the drag washers into the spool. These washers are upgrades from the initial Penn Battle reel. With the new washers system it uses both sides of the drag washers which provides around 20% more drag than previous model. Higher quality paint is another improvement Penn has incorporated into this new Battle 2 reel. This improved paint better protects the reel body from the saltwater and other chemicals that can cause corrosion. This was a problem with the company’s earlier reels, so it’s nice to see that it’s taken steps to address it. Rubber inlay is a nice feature when you’re spooling up braid. The rubber inlay acts as a grip or hold on the braided line so there is no line slippage on the spool. Avoiding this slippage is specially important when you’ve got a lot of line in the water (fishing deep, trolling, etc) or simply are low on line. Often times I’ve put pieces of electrical tape on my spools or used mono backing to avoid any slippage, this rubber inlay removes the need for these extras. Price is incredibly affordable for this quality of reel. Enough said. The Weight of the reel is higher than many other comparable reels in its class. I guess you could look at this as a positive as it shows perhaps stronger components. Regardless, a heavier reel it not as easy to cast and use for longer periods of time. Self maintenance challenges when taking the reel a part the roller bearing (anti-reverse) may come a part when its removed for cleaning or lubrication. That said, putting everything back together is not as easy and can be frustrating. Keep this in mind if you’re dissembling your reel and be extra careful when working with the anti-reverse spring. Reel models (aka. their size) typically are detailed by a number. For the Penn Battle 2 spinning reels has 8 models and they are categorized by a number in the thousands: 1000, 2000, 2500, 8000, etc. The smaller number means a smaller model or sized reel, and vice versa on larger model number/sizes. See table below for each models details. If you’re uncertain what model to choose, the quick answer is match your reel size with the size of the fish you’re expecting to target. For example, if your fishing for Panfish (Crappie, Bluegill, etc) the 1000 or 2000 model are best suited. A smaller reel will also handle lighter line and lures which is required for these smaller fish. If your targeting average sized Largemouth or Smallmouth Bass, I’d recommend the 2500 model. It covers a wide range of line ranges for various water conditions and cover. 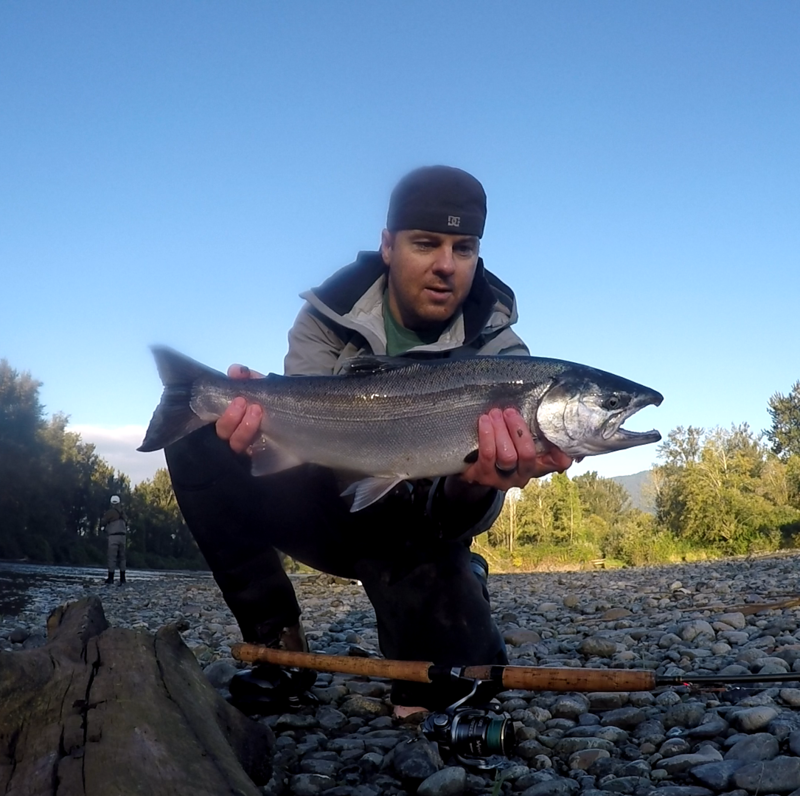 When you start considering larger species like Salmon or larger trout in rivers or moving water, you’ll want to look at larger models: 3000 – 5000. It’s not always easy to align one reel for all your needs, depending on the water or species you’re fishing it’s often complicated to match one reel for everything (that’s why I have dozens), but I hope this gives you a general idea of where to start. If the above is unclear, it might be helpful to know the most popular model is the 2500. The reason being is the fishing line specifications fits a vast majority of species and fishing applications. The average angler is most commonly targeting species in a 1-5 pound class and the 2500 model has a line rating that easily meets these with a little more weight for those larger fish as well. Note: This is not a BCFJ video but from the manufacturer’s YouTube channel. I’ve said it before and I’ll say it again, bang for your buck you can’t beat the Penn Battle 2 spinning reel. I would recommend this to any level or angler, beginner to advanced. It’s built to withstand a lot of punishment and mistreatment, so if that’s you (or your kids) this is a great option. The reel is incredibly versatile with many sizes/models available for those small panfish to massive groupers in the salt. It’s rated and built for both salt and freshwater which again makes it more flexible in what waters and species it can be used for. I highly recommend this spinning reel for any anglers tackle arsenal. Check reel price on Amazon here.